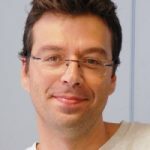 In RD-Connect, Davide is a part of the team working on the development of the online genomics plaform. Davide studied Software Engineering and Industrial Engineering at the Politecnico of Milan. He then enrolled into a Thermal Engineering Ph.D. program, where the subject of his thesis was the study of greenhouse climate by means of Computational Fluid Dynamics and numerical methods. Before joining Centro Nacional de Análisis Genómico, he worked as a research engineer in the Space Science Institute at the University of Barcelona, where he participated in the development of a stars and galaxies data web portal and space image processing pipelines.